DAVID LE/Staff photo. 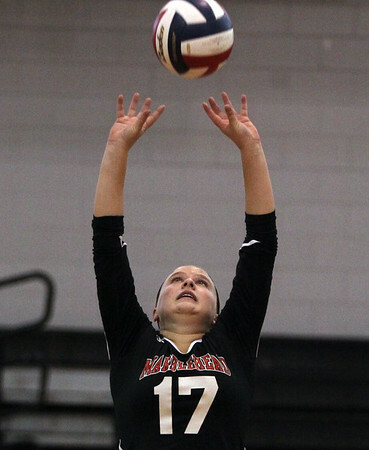 Marblehead junior captain Emma Bushman sets the ball to a teammate. 10/2/15.